Fellows have been supporting the UK and international construction industry with UXO Risk Management measures for over 2 decades. Fellows have been operating since 1994 and, as one of the first companies to offer this service in the UK and overseas, Fellows have unrivalled experience delivering the UXO Risk Management process and are proud of their highly-regarded reputation for quality and cost-effective delivery. 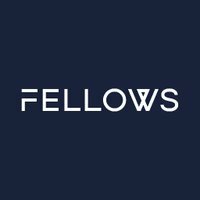 Fellows management and workforce are all ex-UK military bomb disposal personnel, suitably qualified and commercially experienced in working with developers and constructors to ensure that UXO risk is reduced to As Low As Reasonably Practical (ALARP). Our UXO survey and bomb disposal knowledge is backed up by a highly qualified research and analysis team who utilise industry leading Geographic Information Systems (GIS) tools to advise and support field operations. A Preliminary UXO Risk Assessment is the first step in mitigating the risk posed by UXO and is usually undertaken at the very start of a project prior to any intrusive site work. Fellows will assess the likely potential of encountering UXO on a site, primarily focusing on the risk of locating unexploded WWI and WWII ordnance including, but not limited to, aerial bombs, British or allied training munitions and legacy defensive weapons such as old Home Guard weapons. The Detailed UXO Risk Assessment (DRA) is site specific and considers in depth, the potential risk posed by UXO. The DRA process enables Fellows to estimate the likelihood of a UXO hazard being realised at a particular site by considering the type of development being proposed and the planned Scope of Work versus the likely UXO threat that may be encountered. Similarly to the preliminary risk assessment, the DRA is based on historical information regarding site location, previous site development, wartime bombing records and military history. The detailed risk assessment considers these areas in more detail and further considers site specific geology and ground conditions to assess the depth to which an unexploded bomb may have penetrated. Fellows take an honest and pragmatic approach to the assessment of UXO risk and if the results show that the site is at low or negligible risk of UXO encounter, we will report accordingly and will offer sensible risk mitigation recommendations appropriate to a low risk site, frequently advising that no further action is required. Fellows will assess the UXO risk versus the client scope of works and can produce a project or site specific UXO Risk Mitigation Strategy. Fellows can suggest any changes to the proposed development and / or construction methodology that could reduce the likelihood of a UXO encounter such as amendments to working practices or piling design. We will also advise upon the most cost effective method of ensuring that the UXO risk is reduced to ALARP for land or marine projects. If the risk assessments suggest a site is at risk of UXO, there are a number of risk mitigation options that Fellows can conduct. Fellows will provide advice on which option is recommended. Non-intrusive UXO surveys investigate the subsurface environment of a site to identify magnetic anomalies and determines whether these could be potential UXO. It is a highly technical task that requires trained personnel and specialist equipment. Non-intrusive surveys are generally only effective on areas of virgin ground as made ground arising from redevelopment often contains metallic contamination which confuses the electromagnetic signal. Non-intrusive surveys are effective to a maximum depth of 3m and can be useful where shallow works or excavations are being conducted in fresh ground. Intrusive UXO surveys are generally conducted prior to piling operations. Fellows use Cone Penetration Testing (CPT) where a magnetometer is pushed into the ground from a specialist vehicle to the maximum predicted bomb penetration depth. The magnetic cone will detect deep buried metallic items which could be potential UXO. The type of survey to be conducted will depend upon the client scope of work and the local conditions. Fellows will work with a client to determine whether a non-intrusive or intrusive survey is appropriate. Following a UXO site survey, it is necessary to analyse the collected data. This involves Quality Checks (QC) and interpretation of magnetic and electromagnetic data, a highly specialised task. Fellows’ Geophysical Data Analysts can QC the data and assess whether there are potential items of UXO (pUXO). After this interpretation, the data is displayed on maps and aerial photography using Fellows’ GIS system allowing the client to understand the survey data and see the detected anomalies. This is issued to the client within a Site Survey Report with any potential buried targets highlighted and mitigation options suggested. If an intrusive or non-intrusive survey detects the presence of buried items with munition like qualities, Fellows can oversee the excavation of these items with the aim of identifying them and taking appropriate action. If the items are positively identified as munitions, Fellows’ ex-military bomb disposal operatives will ensure that all necessary actions are taken in order to safeguard all site personnel and to remedy the problem as soon as possible. Fellows understand that minimising downtime is pivotal to our clients and timely and suitable intervention by properly trained personnel is vital in achieving this. Fellows can provide UXO awareness training to ensure that the UXO threat is understood at all levels and that the correct actions can be taken if an item of ordnance is identified. UXO awareness training can be for land or marine sites and will be tailored to the specific site and the threat posed in that area; usually utilising the detailed information from the Detailed UXO Risk Assessment or marine Threat Assessment. Higher level briefings and awareness training can also be produced and delivered aimed at senior management or project teams to ensure complete understanding of UXO risk at development sites and the higher level considerations which may be required ranging from liaison with local authorities to dealing with the media interest which the subject of UXO often attracts. To complement UXO awareness training, Fellows can produce a UXO Emergency Response Plan (ERP) tailored to the site. This will detail the actions to be taken by site personnel on the discovery of an item of historic ordnance and should be included in the site H&S Plan. This can then be included into induction and ongoing site safety training. Fellows will provide a qualified UXO Engineer on site, to advise and assist site personnel as they proceed with the development. This may involve giving toolbox talks, surveying areas prior to excavation, advising plant operators and crucially taking control should a suspected item of UXO be found. Use of a properly qualified and experienced UXO Engineer in the Banksman role is particularly applicable for sites where a UXO survey is not applicable or the results are inconclusive and UXO risk remains. We recommend that the through-life involvement of UXO expertise is often the optimum way of reducing UXO risk to ALARP and engaging Fellows at the start of a project can reduce risk and cost while ensuring that appropriate risk management measures are in place in accordance with CDM 2015. Fellows will produce all necessary Risk Assessments and Method Statements (RAMS), along with a detailed report on conclusion of any risk mitigation work. This ensures that the client has a robust Quality Assurance / Quality Control trail which ensures all appropriate precautions have been observed with any residual risk potentially remaining recorded. All of our services are guided by industry best practice, outlined in CIRIA Report C681. The Preliminary UXO Risk Assessment should be carried out as early as possible in the project lifecycle and is the best way to determine if there is a UXO risk present on a particular site. Fellows have an extensive database of information and skilled UXO specialists who can quickly and efficiently identify what UXO risk may be present at your site.